You are currently transiting a very complicated Angrakia time. This period started for you on October 4, 2011 and it will continue its presence until December 8, 2011. You are completing certain ideas or projects during this period of time. The way you think and the way you talk to people will soon change. If you decide to resist the change you will be disappointed with the outcome because you are holding on to ways that are no longer working. You may even feel that certain plans are failing; this is because you continue to hold on to things that are now not beneficial to you. Right now it is all about letting go. But the new ideas will have spiritual awakening and any new ways of communication will be better than you ever could imagine as long as you do it out of grace and truth. You are currently transiting a very complicated Rahu time. This period started for you on October 1, 2011 and it will continue its presence until December 10, 2011. During this time you may have financial losses of one kind or another but in reality you are letting go of things that you have been holding on to. It may be a end of a project or a job and going after something you want to do, it could also mean you may be letting go of friends or things to start a new cycle. But it may also mean you are spending to start a new venture. During this time you may be accumulating money because of the how you handled them in the past. You may receive unexpected money or resources and you have luck in it. But at the same time you are not satisfied. You may become restless and you may want to get away in every area of your life. Spiritually you may feel that you need to be more developed but don’t make hasty decisions now wait it out carefully. 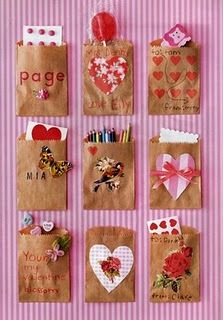 Valentines Day… Great concept! Great history but the meaning is lost in the commercialization. What happen to appreciating the people you love everyday? What happened to saying I love you everyday? Does it have to be so glamorized? Do you have to give a gift to show your appreciation and love? Or can we do something little and special everyday for the ones we love? Holidays such as Valentines Day, Christmas, Thanksgiving and New Years can be a trigger to depression for many. Hence Valentines Day is traumatic trigger. Looking around one can see hearts and cupids and romantic pictures of couples glances and kisses. Single people feel that there is no meaning of Valentines Day without having someone in their lives. In eyes of society as well as our own friends this can be considered “the holiday blues.” Each and every one of us have gone though these triggers one time or another in our lives where we are feeling as though we are not loved just because we are not in a relationship and there may be possibility something wrong with us. But sometimes it is the opposite we have love all around us, and appreciating what we have and who we are is the magnitude of strength within us. So the meaning is really lost, which is that Valentines Day is not about giving something to someone significant it is about sharing our love with everyone. When I was and in Elementary school my teachers used to make us buy a box of Valentines Day Cards and we had to write our names on it and address to no one in particular. She counted how many students there were in class and we had to make sure that we had that many little Valentines Day cards. Unbelievably little Valentines Day cards still come in box of 100. But, it was not just about giving anonymous Valentines Day cards to our class mates but she also made us make something out of paper, glue, and crayons, “Make sure its creative” she used to say. “And remember children this is for your favorite people show them how much you love them, make it red, pink, white and all the pretty colors in your heart.” I used to come home with so much candy and cards in my backpack that it seemed that the cards which I made were always crushed or wrinkled. When I showed the card I made for my mom, she was so happy that every year she would unwrinkle the card and gently place it on the refrigerator with a magnet. Along with those memories there was always one thing that always stood out for me on Valentines Day. Which was teacher saying, “Valentines Day is about telling people that we love how much they are appreciated.” To this day I still give little things to my children, my parents and those that have impacted my life in the greatest way. It is about appreciation, it is about thankfulness. But should that not be every day? 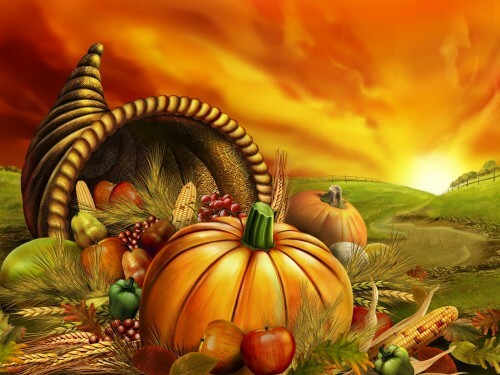 I often wondered how this holiday did become so popular and what is the true meaning? And have we really lost the pleasure of making things? 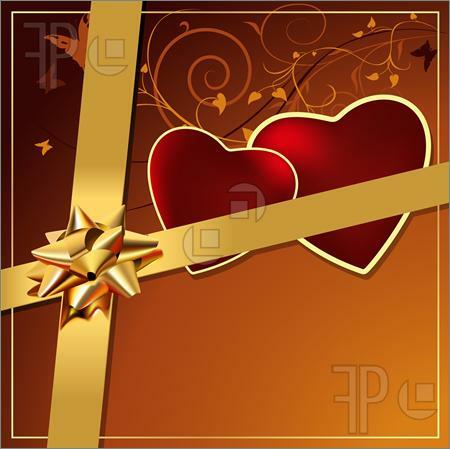 Valentines Day, was proclaimed as a holiday approximately February 14, 496 AD. Though there are two tails to this story the meanings are similar. The most popular historical thought was that when Emperor Claudis II ruled Rome he had a difficult time recruiting men to his army because men did not want to leave their wives and families to go off to war. To retaliate against the men to rather force them to join the military, Emperor Claudis II sanctioned that all marriages or engagements be cancelled or put off in Rome. Those that did not comply were put to death. 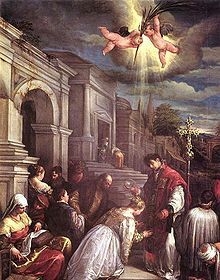 Saint Valentine was a priest in the Roman Empire at the time and secretly married couples and was later put to death through sever beatings and decapitation. The second version is very similar to the first version, hence there is a wonderful twist which is that while Valentine was waiting in prison for his sentence that a great power of healing was bestowed upon him. Through this healing power he was able to save the Emperors daughter from blindness. However, the Emperor would not do away with the laws of marriage and through Valentines retaliation and just before his execution he wrote a letter to the Emperors daughter that he fell in love with her and ended the letter, “From your Valentines”. Valentines message was that a person is not centered around Eros( passionate love) but agape (Christian love or rather unconditional love). Which ever historical fact one chooses one thing for sure we must understand that Valentines Day should be every day. Appreciation, love and kindness should be without expectations. While receiving is nice it’s equally nice to give, so instead of finding the most important Diamond which is just material thing, or that sweet perfume or even that Get Away that is planned for this weekend. Why not stay in? Light that beautiful red candle and say, “I really appreciate you” because anyone can say they “love you” but to mean it is to earn mutual appreciation and respect. On February 13, 2011 at 7am to February 14, 2011 at 5pm I will be doing destiny readings. I am also trying a timing technique which I am still trying to perfect through Vedic teachings. All I ask is that you send me your birthday in mm/dd/yyyy format I don’t need your birth time or the where you were born and with one question with a timing. Though I do not guarantee the timing will be correct ( I hope that it is) I will give you what I have. This offer is only available for those who have mail able opt-in, single opt-in to my newsletter will not be accepted. Simply email me at mrutan@bellsouth.net, with the above information between the times given if you are not opt-in as a mail able opt in you will not receive your reading. And within in 24 hours your reading will be posted under this blog. 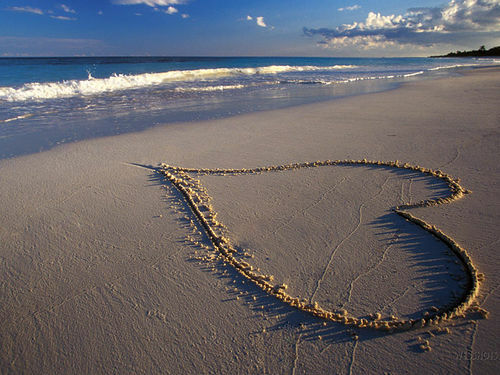 Happy Valentines Day friends… I really do appreciate you..
You are currently transiting a very interesting Ketu time. This period started for you on January 10, 2011 and it will continue its presence until March 25, 2011. For the next 60 day you are being blessed by the Universe to accomplish a lot of success and you are mastering everything you set your self to do. You should allow you’re self to change your mind and create more success by looking at things differently than before you will then plant the seeds to what you believe and the things you are trying to change such as things around you on a physical world by going inwards. You may also be called on to lead a certain career pattern and it will be quite successful. This transit may make you look at consideration beyond your beliefs. You may be influenced by women who are helping the less fortunate or through them you may be also very generous to people. You will have a strong sense of business and effective advocate to many ventures. You will inherit a sense of responsibilities and gain security and independence through women who give to others without expectations. You will finally realize that in approximately 8 weeks or at the latest the New Moon in Scorpio October 26, 2011. That you are holding on to something that just needs to be let go and no matter what it’s not worth hanging on to. Though I can’t tell when you should sell your shares. You may be given an opportunity with in 4 weeks or on or before June 8 you could get an opportunity to think of past as positive thing rather than regrets. I hope you enjoyed this reading and be so kind to leave me a comment it’s through acceptance and embrace that I can keep this site running. Additionally let me know in the future how things turned out for you as well. Your journey of life is quite important through giving unconditionally we find solace in our lives. You are currently transiting a very interesting Mangal time. This period started for you on January 13, 2011 and it will continue its presence until March 29, 2011. You have fought hard to have your earned victory. You are reaching a milestone where commitment to change is for the better. You are passing through a gate way to a new era with resolutions to problems of the past and present. You are going to gain control of situations which have worried you and you will have success through hard work and great planning to bring satisfaction to your endeavors. You will carefully maneuver your way through conflicts and oppositions and have conquest and achievements to go along with it with honors and warm receptions of people who appreciate you. As you know birth of a child or death is in Gods hands. Hence I can’t play God because not only I can not play one but I refuse to be in such a high stature as God. In my philosophical beliefs NO ONE should be giving you that answer but before anyone can answer that you must have someone significant to give you a child. So instead of asking the question of a child I asked when will you have an opportunity to have that significant person that will give you a child if that person is here are they the seeds to your desires? For the next 9 weeks and all way until middle of 2012, you are giving to people and being involved with people that do not deserve you. Either that you don’t want to feel that you will be without or that you are settling for less. To attract someone in your life that will give you things back equally and could be a good parent to your child or even if you wish to adopt that chance can come when you examine your self more carefully which could come in approximately 3 weeks or by July 31, 2011 when you ask your self what exactly are you looking for and what you are attracting to change your direction. You are currently transiting a very complicated Rahu time. This period started for you on February 14, 2011 and it will continue its presence until April 25, 2011. You may feel tremendous pressure to finish a specific task or tasks which may test your diplomacy. You may feel that you are living under restrictions or a specific code of conduct. You may temporary feel suppressed in your personal desires in order to complete certain things in your life and you must play by the rules. You may have to please others but you will succeed at what you do as long as you put your work into it. “My questions are What lies ahead? or What should I be expecting? Since I know your mind has been on romance therefore I will focus on significant person in your life. Between now and May 17, 2011, you may be deemed to find that right person that you may become very dependent on filling the void that you may feel. But if you take a break from your love life and concentrate on what you need to do then you will be extremely happy with your love live by October 26, 2011. But it is going to take work on your part and not to jump to the first thing that comes and the universe will NOT allow infatuations or quick relationships anymore. As I stated to Velda, I can not read on a child because that is God energy not for me to decipher. As far as love, you already have that all around you but it is a matter of appreciation. Therefore, I have decided to concentrate on your work area since your destiny calls for work. From now until April 17, 2011 you may feel a little frustrated with work or that you may feel as though you are not accomplishing as much as you want to. You will feel much more satisfied with the progress of your work after January 2012. But you must decide to plant seeds and not get impatient when they don’t sprout quickly. You are currently transiting a very complicated Rahu time. This period started for you on January 1, 2011 and it will continue its presence until February 28, 2011. For the next 60 day its all about work you want to do so much that you have more than you can handle on your hands. You may go through a lot worries. Its better to be creative and use your skills as a outlet because it will not be beneficial for you to over worry. Use this time to be more creative than ever before and you will reap the rewards that will come with it. You will gain practical knowledge and envision your own possibilities. You will have good trade and negotiation skills and you may even enter into a new business transaction. You will advance a step closer to your goal and you will have ingenuity and partnership. You will cultivate early stage of extreme success. “when would it be a good time to relocate? You can not repeat the same things you have done in the past and there could be delays because of old issues not being resolved. You can not look at the past a negative aspect but as a positive to move. You are going to have to stay very busy for the next 6 weeks to accumulate what you want to accumulate to make your move If you decide to move a good time would be after September 27, 2011, if you do it before you may have some unresolved issues. Tale of Christmas at Maharani’s House..
Tis.. was a day before Christmas. Everyone in Maharani’s house was sleeping including her little Princess Brittle, who has been known to get into things that one can never imagine…..All of a sudden Maharani hears a knock at her door. Curious and annoyed why someone would come to her house so late. She draws the curtain and does not see anyone at her front door. Trying to be really quite, Maharani follows the knock. She first goes to the front door and none is there. She hears the knock again and she goes to her bedroom door and no one is there. Now the knock is getting louder and Maharani is getting annoyed because she does not want anyone to wake up the last door to be checked is the sliding glass door. To her surprise it is St. Nick. She was really happy to see him since he has not come to Florida since her children were 7 and 5. Maharani hurries up and opens the door and very excited to hug him. Staring at Maharani with the look of annoyance St. Nick said to Maharani, “It would have been nice if you had a chimney so that I can park my sleigh on top of your house. Instead I had to park in your backyard, and knock on this glass door. You know I have to be very careful. I don’t want anyone to hear that I have come to deliver present for all those good boys and girls.” Maharani said, “Well Santa first of all this is Florida there are not many houses here with Chimneys.” Maharani gracefully opens sliding glass door wide enough to let St. Nick in and he makes his way to her couch. His weight is so much that one side of her couch flips up and Maharani ask St. Nick to sit in the middle of the couch so that when the couch breaks it wont make so much noise. St. Nick with curiosity looks over to the couch and there is a brown fur ball on her couch as Princess Brittle rolls on her back and starts to snore. St. Nick says, “Ah! Is that the new reindeer you were going to buy me?” Maharani smirks and says, “Sorry St. Nick that is my Princess Brittle. You see I looked for a reindeer for you but could not find one but I did find Princess Brittle, she is a great guard dog she barks and hides under my bed. So if you want a noise maker you can adopt her but for now she is quite comfortable here. But if you really want her I will give her to you but I can not be for certain that she wont hide all of the time because your reindeers are scary but Rudolph… she is really scared of his nose.” St. Nick looked very disappointed and said, “Perhaps you can try again next year because one of my reindeers has been drinking too much eggnog at Christmas and he has been slowing down all of the other reindeers and I need a replacement.” Maharani looked down and said, “I will pray that we find a replacement for you for next year.” St Nick and Maharani sat in silence with the aroma of cinnamon tickling their noses. St. Nick looked around and said, “Your home looks so festive with all these lights and your children are really grown up, but what are you really doing just sitting here with tissues on that table in the middle of the night?” Maharani looked at St. Nick with sadness and tears in her eyes, “You see St. Nick. There is so much that I want to give to people on Christmas Day, but it has been difficult the economy has not been at its best and this has caused so many people including my self to feel sad and concerned how they will make it through the holidays. I tried really hard to give.” St. Nick looked at Maharani with is one eye brow to his forehead, “Really? What have you tried?” With a sigh, Maharani explained, “This has been going on since last year. First my good client Cheryl promised me cookies which I would have only given to my youngest son because he loves cookies. Then, this year my good client Onur promised me a sweat shirt would I would have given to my oldest son because he loves those colors. Also my good friend Robert promised me Lavender plants and my good client Carol promised me lavender seeds which I would have given it to my mom since she loves lavender. But most of all my good friend Donna promised me a rich man who would take care of me so that I can have enough money to buy gifts for all my clients, my children, my friends and my neighbors. But none of it happened. And I am so sad.” Maharani began to cry..
St. Nick reached over to Maharani and held her hand and said, “You see, Christmas was not created to give gifts to each other but it was a gift. A son was born it was about God giving us a gift of his son who would later sacrifice him self for the sins of the people. To show what compassion, love, and glory is all about. I was only hired on because I was standing at the unemployment line with my reindeers and I was famished for food. God felt sorry for me because I begged him that I would die if I did not have something to eat and I don’t have a heart to steal. So God said, “Ok son. You will have a very important job which is to make every child on this Earth happy. But there are a couple of things you need to do. Which is to make sure every wish is fulfilled by boys and girls all over the world. You must ride your sleigh in the cold weather, blizzard and rain and every house with a chimney you must go down to deliver the present no matter how difficult it gets and no matter how cold it is. That is the sacrifice you will make in turn I will give you a place to stay, food to eat, a woman to love, helpers to make wishes come true and in the summer, you can go into the ocean and swim with the seals.” So I made a deal. I have had the same job for so many years, that some people do not understand the real meaning of Christmas and it saddens me.” Maharani, looked at St. Nick with a tear in her eyes and said, “I am so sorry I asked for anything, I really do understand that Christmas is not about gifts so having said that, can I have a wish?” So St. Nick looked up waiting for a sign. After some time he looked in his bag, and said, “I am sure God will grant wishes this Christmas but your wishes are too long sometimes and I have to go by Christmas morning and besides I can keep your son and Princess Brittle sleeping that long.” Excited, Maharani reaches for St. Nick and begins to hug St. Nick. Then jumps on the couch and says, “I promise I won’t take to long”. Maharani got her note pad out sits in a folding position and begins to read all the questions that her clients had for her…. First on Maharani’s list was Natasha who was very sad that she did not have “life partner”. So Maharani said to Santa, “Natasha wants to know when she will meet her life partner?” Santa scratched at his beard, took his hat off and sighed and said, “Well, it depends what she considers a partner. Partner can be a male, a female, a dog like your self, a tennis partner, or gym partner. It all depends upon her taste.” For a moment he was quite and Maharani stared at him with confusion as he began to finish his thought, “If Natasha wants someone she can share her life with she has everyone around her but if she is looking for someone to marry then it will take some time because Natasha still has yet to find a perfect person this is because she may be attracting exactly what she desires not what she needs. To find someone that will share her life. She must achieve three things: One is find a balance in her life and she must be fair to her self as well as others. Second, she must not allow gossip in her life and there is a trip she needs to go on which is going to be delayed and lastly she must heal pass old pain and hurt from other people so that she does not carry around baggage from old relationships.” Santa then looks into his hat then into his bag and says, “Natasha has 8 months to get her life straightened out because in the month of August or July she could have this opportunity, but only if she is dedicated to the tasks that God has set out for her.” St. Nick reached for foot stool and got comfortable. Second on her list was Velda, who had a very odd question for St. Nick. Though Maharani was confused with the question, Maharani asked the question any ways. With hesitation Maharani said to Santa, “A very dear client in Florida asks if there is any thing significant happening in her life in 2011?” Santa replied, “Welllllll…. She could get in her car and drive but she does need to be clearer.” Santa scratched him self on the belly since the suite was kind of itchy in Florida. And Santa said…”hmm.. Before anything can happen some things must be stopped…. First she must control her emotions, take time to rest and be a little stronger in her convictions; however, she has some obsessive tendencies that must be placed under control. It could be drinking, eating, anything that she is doing that God would not approve because she is confused or distraught must be stopped because it shows God signs of weakness.” Santa began to rub his hands together and asked Maharani, “Got some eggnog?” Santa continued as he took a sip of the eggnog and said, “Furthermore, wishes can be granted but I am looking at 17 days to months but it will take her some time to relax and believe in Gods work.” Santa said to Maharani “did you put liquor in this eggnog because it takes awfully sweet like rum.” Maharani giggled and said, “Santa you know I don’t drink.” He nodded and smiled. Third on Maharani’s list was Melinda, though she had a question about her relationship. Something told Maharani that there is something wrong with the question. Unsure what to say or how to say it, with uncertainty Maharani said to Santa, “Melinda asks if her and her boyfriend would get back together.” Santa jerked his glass of eggnog and almost spit out what he was drinking with his blue eyes wide open and said, “She does not understand that right now she can not be worried about men in her life because she has a higher calling which is called Destiny, and no matter what she wants Destiny is much more powerful than relationship. The harder she tries the more difficult it will be until February 5, 2011.” Maharani sighed because she knew that is not what Melinda wanted to hear but Maharani also knew that this is why her intuition was guiding her the way it was and Maharani said to Santa with disappointment, “What is her destiny?” Santa said, “Well, we are going to do it your way even though they don’t celebrate Christmas that much in India I will give to you exactly the way you would understand it…. “Melinda is currently going through some difficult lessons of Shani. Which also a sign of Karma and Dharma and will continue this phase until February 2, 2011. There will be a younger man that will play a major role in Melinda’s life in the future. He is a sales man or someone who promotes something, who will help her soar in her financial and career life or that Melinda herself, will have great success in her own business ventures through self promotions. Its time for Melinda to get creative in every business venture. However, if Melinda’s eyes are not open there will be a man that will be dishonest with her and may take an advantage of her. He may be in sales or even younger than her.” Maharani says, “Well that is not the version I would understand that’s not from the Vedic Scriptures.” Santa burped, and said, “Ops, yea that is the Western Version.” Santa then reaches in his bag and takes out a note and begins to read, “At this time Melinda will gain inner peace from contact with Earthy people by attending to practical things, perhaps tending to a house or garden. Physical labor and exercise will help relive stress and enable her to see things in proportion. There is much pleasure to be derived from appreciating simple things in life. Satisfaction in her life will be gained from small jobs through perseverance but it means. Melinda will have to work hard and attend to the details of her life. AT this moment Melinda needs to be patient and approach people and situation with gentleness and gratitude. If she does not do this there will be dispense of jealousies and frustrations and Melinda will have to learn the value of personal sacrifices. But as far as relationships are concerned her destiny will over power her desires.” Santa then too off his glasses and cleaned them with his handkerchief and put them back on. The seventh on Maharani’s list was Travis. Maharani was very perplexed and sad about Travis’s wish which was “When will I meet my soul mate?” But she could not ask Santa, just yet because Santa had to go deliver presents in the middle of the night to all the good boys and girls and left Maharani and said, “I will be tomorrow afternoon after I have fulfilled my promise to make everyone’s wishes come true.” Maharani nodded in agreement and opened the door to her sliding glass door and let Santa out. As he rushed to his sleigh, trying to straighten out his suit. The reindeers hissed and Rudolph lit his nose. Santa then got into his sleigh without saying a word and waving bye to Maharani and the sleight whisked into the sky like a plane taking off. Maharani rushed into her home and sat back down because she still had some work to do and Travis’s questions needed extra time for pondering. With tears in her eyes Maharani searched forjournals which she shared with everyone on the concept of soul mates in March of 2010 andNovember of 2010, and read it over to see if there was anything confusing about it that Travis would not understand. Perhaps it was too complicated or was it just that Travis may be going through some difficult times whereas something so simple is so complicated so she gathered her resources and looked at all advise she had given to Travis in the past and discovered that surely Travis is going through some difficult time and even the most simplest words would not be clear to him since the transit of his Destiny causes him to feel heartache when there is none. Maharani knew this was a answer that she could no longer answer because not only has it been answered and shared by Maharani so many times but it was no use to continue to try to explain something to a person who is going through a difficult time. Maharani waited for Santa to come back. The time to Maharani seemed an eternity and all of a sudden she heard a loud noise which seemed like a car crash. Maharani rushed to her back yard only to discover that Santa had crashed into her fence. Maharani ran to Santa’s sleigh to make sure he was alright while uncovering the wood from the fence. The reindeers were covered in dirt and Rudolph had a Maharani’s Jasmine plant on his head. Worried, and concerned, Maharani said, “Santa! Are you alright?” Santa looked at Maharani with frustration, and said, “See my dear I told you to have a chimney but ..” Santa then shook off the dirt and came through the sliding glass door shedding dirt through Maharani’s kitchen and living room. 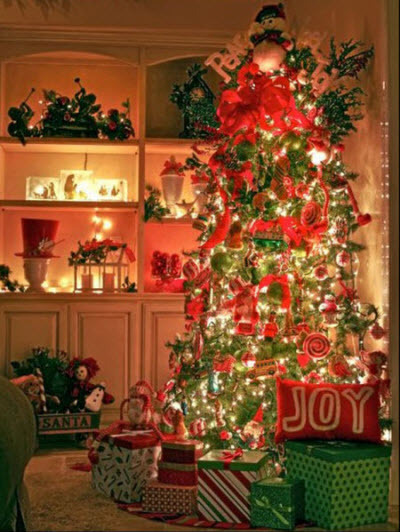 Once again Santa sat down at the corner of Maharani’s couch and the couch once again flew up. Maharani said, “Santa, I think you will be more comfortable if you sat in the middle of the couch.” Santa moved over and said, “Ok, where were we?” Maharani said, “We were making wishes come true for Christmas.” Santa than took off his hat and shook off the dirt. In tears Maharani said, “Travis would like to know when he will meet his soul mate?” Santa, looked at Maharani with shock as his blue eyes almost popped out his face and said to Maharani, “Did you not explain this already to your people?” Looking down, Maharani replied, “I did but Travis does not understand. No matter how much I explained. But Santa he is going through such a difficult time until January that no matter how much I explain it, it won’t matter because of his sadness. I am sorry.” Santa reached over to Maharani’s hand and said, “Its not your fault but lets see what I can do.” Santa than moves his legs on the couch so that he is in a sleeping position and places his hands on his head and says, “Before anything Travis first has to understand the what it means about soul mates and since he does not and has mistaken it for relationship that is long lasting which understanding, loving and stable. I can only let him know what he has to do to attract a person that meets these qualities. First of all Travis has to stop looking as the past in the negative terms rather he must look at the past as lessons learned. God will make sure the past does not come back to him and give him all the strength he needs to let go of the past. Second, he must stay away from people who lie to him and confuse with false prophecies and things that just are not real. Third Travis must look at life much more optimistically which is only causing him illusions, negative thinking and unhappiness. But Travis fears change he does not want to make any changes and is afraid if he makes too many changes that things will not go well so he is not acceptable to change. He also depends that things will stay the same and some miracles can happen. Which it can but he is way too emotional with scattered to make this happen. But no one wants anyone that is too emotional and unhappy. No one wants someone that carries baggage and its yearning for things from the past and not open to change. Most of all no one wants to be anyone that is obsessed and using thing or doing things that even God would not approve. Having said that, God is asking Travis to stop complicating his life financially, emotionally, physically and spiritually. Everything that is happening is self created there is no vengeance. God is giving him until the first of the year to make these changes. He is giving Travis 5 months to get his financial life in order. He is also asking Travis to stay away from anything that alters his moods like drinking, drugging, internet or anything that is not solving anything in his life. He is also asking him to lower his expectations of people and not to make it seem to people he knows things which he does not and be open to information. But most of all change his plans of life so that he does not continue to have power struggles with people. The universe will give him four months to stop fighting change. So that he does not become hypocritical because no matter who tells him thing he does still not understand. God will make sure he is frustrated and things are delayed for him for 8 months until change comes or until Travis decides to make a change in his life. The significant person will come into his life when does not make irrational choices and diminishes conflicts. But if he does not change his ways his equal or close to it may not come for at least 20 months.” Maharani sits in silence staring at the ceiling and within minutes she begins to hear a snore coming from Santa. As the night turns into day…. Maharani rushed back into her house knowing that Santa can not stay until 3pm. Since it would not be good to have her boys and her doggy sleep for that long, because when Santa come he tries to put all the good boys and girls and doggies and kitties and little creatures of God to sleep while he delivers their wishes. The sun began to come up and in a panic Maharani Splashes water into Santa’s face and says, “Santa please wake up the sun is raising and you must go. The reindeers are tired and Mrs. is waiting for you.” Santa rolls over on Maharani’s couch and almost falls over and says, “Five more minutes, I am dreaming of cookies, fudge and hot coco.” Maharani shakes Santa and says, “Please wake up Santa everyone is going to awake soon and see your sleigh, you don’t want that do you?” Santa jumps from the couch in a solute position and he shakes his face and his beard flies from one side of his face to another and says, “ No, No, and begins to pace and says, is there anything else I can do for you Maharani?” Maharani hugs Santa and kisses his red cheeks and says, “No Santa you have done enough. May God bless you and I love you.” Maharani then escorts Santa out of the house to his sleigh and hugs every reindeer and tells them to take care of Santa because we need him. Rudolph smiled and lit his red nose, as Santa jerked the leather strap of his reindeers and sleigh once again took off like a plane. Maharani begins to walk towards her house while wiping away her tears sits back down on the couch. She brings her hands together and prays, “God, I try really had to give things to my friends and family and my clients without asking for anything in return. Only thing is that they ask. But it seems to me that there were more people in sadness, yet they never asked for your guidance. I wish when a gift comes to them, they would appreciate that there are no strings attached only glimpse of what you give to me. God, thank you for brining Santa to us this Christmas and I hope that you keep him very safe. God I pray that people would be less depended on personal relationships and be more appreciative of what you have provided. I also pray that each and every person spends a little extra time next year spending time with their children and family and not worry so much that they don’t have a love or relationships in their lives and to know that you will provide them when they are capable of having it not when they are in desperation. God thank you for loving us with your pure heart and giving to us a gift of love and free will and know that I can only hope that things get better for each and every one of us so that we take life in moderation not in obsession.” Maharani than lifted her head up. Lifted her doggy, and walked towards her son’s room to kiss him good night and whisper I love you in his ears as she closed the door behind her and headed to her room with Princess Brittle in her hand and closed the door. Happy Thanksgiving: A gift ..for you. I will be doing fee Destiny reading starting at 7am EST on November 26, 2010 through November 28, 2010 at 5pm EST. This offer has been extended to December 1, 2010 since there are so many of you that are in transits. You will be notified by mail about your options if you are in transits. Here are some of the requested readings..
You are currently transiting through a very difficult Shani period. Shani usually has to do with tough lessons, but these lessons have to be learned period began for you around November 3, 2010 and it will continue until January 3, 2011. For the next 60 days it is a time of indecisiveness or you may be very preoccupied with money or issues of money. If you do not use this energy in a productive way or release it in a productive way this type of wavering will continue hover over you and fear may set in. You may also get two different ways to make money or two different projects that will occupy your time. If this is the case than this is a good aspect because it allows you to touch upon areas which you have never explored before? But if you waste this energy you will lack center ness you need and you will waste valuable time and money. You have skill and growth. You will make progress in your own vocations, as well as use your talents constructively. You may even pursue your dream with advice and cooperation from others. You are laying down a foundation and gathering resources need for future ventures. You will also have a sense of purpose and identity. What ever you plan right now will have a successful conclusion but don’t doubt because if you do you will lack the skills necessary to have the success you have in your mind. I hope you enjoy this reading, and I hope you take the time to leave me comment and let me know what you think and refer back to it later and let me know how it turned out. You are currently transiting a very wonderful transit of Shukraya. 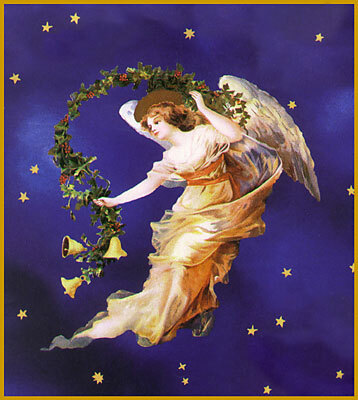 This period began as early as November 15, 2010 and it will continue its auspicious activity until January 22, 2010. For the next 60 days you have a desire for warmth or to be loved. You may begin new relationships during this period or have a child or even an affair. This is a prospective of new love energy it awakens your heart with passion and desires of love. You may be also searching for something internally to find you’re self or through others you may learn to love unconditionally. This is a important aspect so that you can understand you have to love your self before you can love others. Remembering what ever we put out there is what we will get back in return. During this transit you feel abundant. Your search is for happiness, nourishment and protection. It may be that you may begin to feel fulfilling; to complete things you have began during this cycle of life. You may even feel contentment, joy and satisfaction if you allow you’re self to feel this. You may lend your skill to people who are noble of you. You will have good will and Devine inspiration and it will be an example of productivity in your own life. You will follow the higher calling and be receptive to a higher plane. Finally you will receive fruits of past kindness. I hope you enjoyed this reading and be so kind to leave me a comment it’s through acceptance and embrace that I can keep this site running. Additionally let me know in the future how things turned out for you as well. Your journey of life is quite important to me, through giving unconditionally we find solace in our lives. You are currently transiting a very wonderful transit of Shukraya. 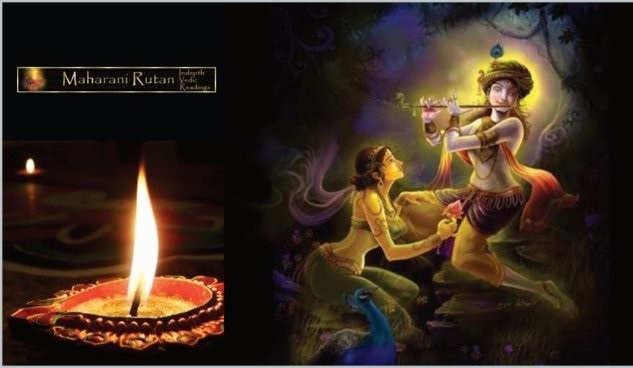 This period began as early as November 04 2010 and it will continue its auspicious activity until January 16, 2011. For the next 60 days you want a change in your life either that you want to travel, move or create new opportunities for your self. You may want this because you are feeling fidgety which is causing you to explore new things to activate your mind and soul. What ever your reasoning may be you want to change the way your life has been for so long. You want a new direction because the old direction just does not work for you. You will be available for new ideas, people and places. Because you want changes so badly you may not be straight forwards in your beliefs thus causes you to change your mind and even mix things that should not be mixed. During this transit you may feel depleted or short of your finances. You may either have a lack of resources or energy. You may struggle to stay afloat. You may even undergo desolate phase in your life being faced with barrens of issues regarding your resources. You may even fight to keep your spirits up and often you may feel abandoned. Having to adapt to the things you do not have and you may be yearning for guidance through philosophies or even structure religion. You must first go inwards and find the nourishment before you can go outward. You may have temporary hardship or feel lack thereof. You are currently transiting a very wonderful transit of Buddha. This period began as early as October 12, 2010 and it will continue its auspicious activity until December 30, 2010. Since you are leaving one part of your destiny moving on to the next it is quite important that you treat this transit with the up most respect and do not take it for granted. For the last 30 days and for the next 30 days you may have had financial success and it can be considered the best part of your destiny. Your success and dealing with group of people has leaded you here. Essentially, infatuation or obsession of money may have been taking a lot of your time. It does not mean you will get what you want. Sometime it means your mind is just preoccupied with it. However, with hard work a large financial gain is on its way to you as an end result. During this transit there is indication of wealth and prosperity. You may take the time to enjoy your home and family. You will share good fortune with your closest ones. You will maintain family traditions. You will benefit from security and eminence established by ancestor. You may receive inheritance. Affluence and riches is a part of this transit. You will enjoy the rewards this transit will give to you and you will celebrate that follow the completion of a mission as well. You will have family gatherings and participate in traditional activities. You are currently transiting a very unique transit of Ketu. This period began as early as November 1, 2010 and it will continue its sequences until January 29, 2011. For the next 60 days you may become over protective with those you love especially your spouse, family or your significant other half. You may even build a foundation which based on love. Currently you do have good influence and you should have a significantly happy family and social life. You may even push away people who are interested in you’re when your cup is so full already especially when people want to get close to you. If you are single you may get involved with someone who could be a potential marriage material or if you are already committed it could mean you may get married. Lastly if you are already married you may solidify your life. You will build this relationship as well as others in your life with love, peace and understanding which is what relationships should be based upon. You may even embrace the concept that what is solid is meant to be kept and nurtured. You are currently transiting a very unique transit of Rahu. This period began as early as November 15, 2010 and it will continue its sequences until January 30, 2011. For the next 60 days it’s all about talking and sharing ideas and having collaboration and cooperation through communication. You may feel that you want to talk to others to keep the communication flowing and through this you may find that sometimes the conflicts that occur is not about them and you but your own. But through others interaction with you it will show you who you are and making sure that honesty begins with you. During this exceptional transit you may have more responsibilities than normal. You are also proving to your self as well as those around you that you are capable of managing more than one thing or more than one project at a time. You are exerting your authority and brainstorming with leads you to put together ideas which you might want to take into consideration. You are also planning for your future. You have the courage and maturity using all your talents to achieve a vision. You are employing your intuitive insights to assist with decision making processes and you are most capable of being a leader to a project through honorable motives. You are currently transiting a very unique transit of Shani. This period started for you on October 7, 2010 and it will continue its presence until December 29, 2010. The main reason why I am giving you a short term reading is because you are between two periods and this period is pivotal for you to embrace and understand. For the last 30 days and into the month of December your psyche is high and you should tap into it more than eve before. You will be also keen to maintain cooperation with everyone and you want a serene and calm environment. You will do what you can to maintain balance in your life and be very stable. Whatever is out of balanced the universe will force you to make a change or pay price for any mishaps or stagnation. During this transformational transit you have a well earned victory to many aspects of your life. You are reaching a milestone of your life. You are committed to make a change for the better. You are passing through a gateway to better times ahead for you. You are gaining better control of things that used to worry you. Success through hard world and careful planning will bring great satisfaction. You will maneuver out of the opposition. You will have conquest and advancement. Honor and warm reception from others will coming to you and you will have a very supportive and enthusiastic following of your own. You are currently transiting a very unique transit of Shukria This period started for you on November 28, 2010 and will continue until January 31, 2011. For the next 60 days you will be settling some accounts. Usually it means paying off debts and it could even mean people who owe you money could pay you back as well. You are encouraged to make compromises when it comes to financial resources and you must take full responsibility for following it through. During this transit people may be generous and kind to you. You will receive help from others and a sense of relief as burdens are lifted off your shoulders. You will improve your circumstances and may even receive a monetary gift. You may have material gains and it could include sympathetic and supportive friends. You could do charitable acts and share your knowledge and experiences and good fortune. You may even have a windfall and lucrative business transaction. You are currently transiting a very unique transit of Rahu. This period started for you on November 24, 2010 and it will continue its presence until January 31, 2010. The main reason I waited to post this is because there were two destinies which were colliding one was a negative impact another was positive I was waiting for the negative impact to pass through before I posted the positive. For the next 60 day you may have emotional disappointments or losses in love, however it is a completion in love which a time of endings of one or more relationships in your life that is no longer useful to you to hold on to. These relationships are baring you down and its time to bring the inner strength to end them. Whether you realize it or not all relationships come to an end one time in our lives. It is also a time to help others by counseling them in way or another by sharing your own experiences through love and understanding. You may even share love unselfishly, but to only those that deserve it. This transit brings you success, accomplishment, good health, kindness and compassion. You will overcome obstacles; restore peace and display gratitude and good will. You will feel relief and you may even have a joyous environment. You will be united with your vision through hard work it will be reality. You will share blessings of others and you will be content emotionally and a dawn of a dream is near. You will achieve great tasks which will bring satisfaction to your spirit. You are currently transiting a very beneficial time of Shukria. This period started for you on November 29, 2010 and it will continue its presence until January 31, 2010. For the next 60 day you may be completing thoughts or plans it’s a time when certain things as it may have seemed important is going to come to an end. It may even be at a time your thoughts or thinking process will also end. You revoke these changes you will experience great disappointments because you are holding on to things that are no longer useful to you. If by any chance you feel things are difficult for you and everyone or everything is against you than this means that you need to let go. 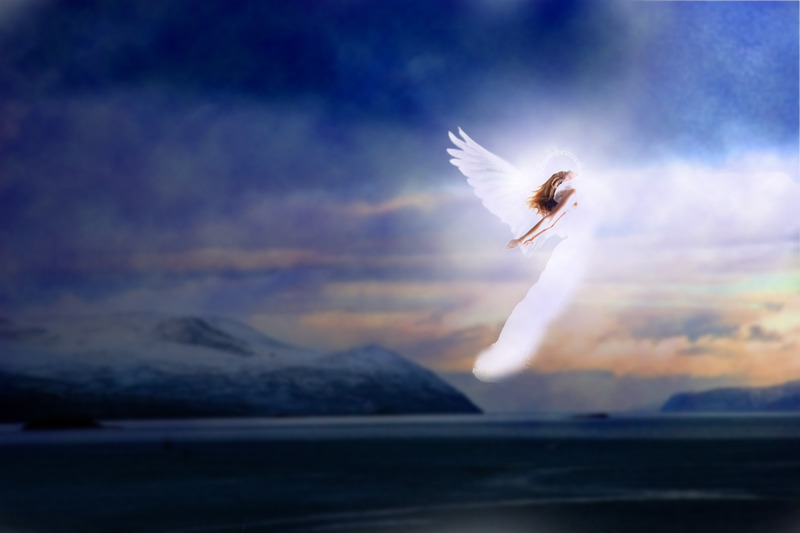 As you let go you are projecting your self into higher way of thinking much better way. You may even go through some lucid dreams or spiritual awakenings and tap on to your universal consciousness and you will have success which is based upon the higher truths rather than illusions. You are currently transiting a very interesting Budah time. This period started for you on November 28 2010 and it will continue its presence until February 2, 2011. For the next 60 day you will be going through a lot of changes whether is it just the way you related to life on a daily basis or the way you are taking care of your elf never the less some sort of change is definitely going to change the way you look at life. You may even feel agitated and you want changes perhaps go somewhere just to get a change of scenery. This is because you may feel your life is not satisfied to its fullest and you want change that brings new things into your life. This transit may make you feel that things are at a loss or you feel disappointed or even sorrow for things that have gone by. You may have heartache and rejection. And sometimes you may even be involved in a relationship or a marriage or even companionship that does not bring you pleasure to the level it should. Or you may be even let down by people while trying to reach the dreams that may be difficult. You may also have unexpected changes in plans. However the unfair treatment you receive may cause you frustration which will only cause you to look at all the things you have lost rather than all the things you have gain through experiences. This transformation is crucial aspect our emotions, and the view of life. Rex has a breathtaking prospective of this transformation and things yet to come. Throughout the show we will be taking callers and answering discussing the most controversial issues of life embracing the paradigm shift into the Solar Eclipse of the sun and making our transition to the solar eclipse. Come, sit down, relax, listen and we welcome your questions. We have limited space on the switchboard, therefore, I highly encourage that you set up a private reading and mention Maharani and I am sure they will discount your reading if you wish to have your reading prior to the show. This two hour show will be riveting experience for those who wish to make a change in their lives or just simply want to know how it will affect them. Sit at the edge of because you in for a big surprise. FOR YOUR PERSONALIZED READING GO TO REX SITE AND MAKE SURE THAT YOU MENTION MAHARANI AND PERHAPS HE MAY BE ABLE TO DISCOUNT YOUR READING. 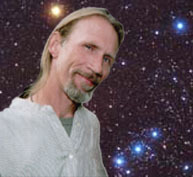 Rex has been doing Astrology for 35 years, professional readings for 25+ years. He has studied Astrology, sibling order and the I Ching as a teenager in Indianapolis, Indiana, expanded his knowledge base in Tucson, Arizona, beginning at the age of 19 and continued my practice and studies by moving to Los Angeles, California, at the age of 30. He has enjoyed great success in Taos, New Mexico for the last 14 years, as well as online worldwide for the last 10 years. He is a humanistic western Astrologer, and use progressions, transits, returns simultaneously in relationship to ones natal chart. His style is friendly, upbeat, insightful and most of all, helpful. Astrology is his life, the Stars guides him, as he feel they do everyone, and his role is to enlighten you to what is great about you, your past, present and future. Relationships, love and compatibility are my forte, along with Astro*Cartography, the Astrology of Location, and the effects of the planets on your life as determined by your birthplace and current place of residence. 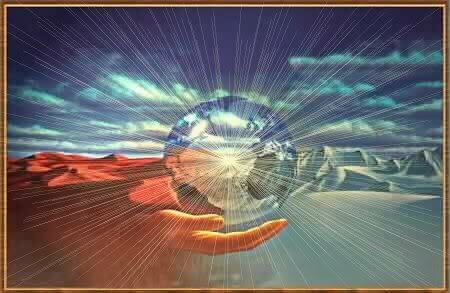 I do phone readings and appointments for in-person readings in Taos, New Mexico. “The New Moon Solar Eclipse @19 degrees Cancer, with Saturn opposing Uranus and Jupiter, squaring Pluto. Saturn is at 29 degrees Virgo. The New Moon Solar Eclipse of July 11th, at 19 degrees Cancer, will not be visible from the U.S. as it is in the Southern Hemisphere. The effects are felt the most in the area that is in its path. The effects, some which manifest in the weeks before and for weeks after, even months, are profound as they cause the day to turn to night, and that in and of itself should give you an idea of how transformational they are. We just had a Full Moon Lunar Eclipse/Grand Square on June 26th, as Eclipses take place two weeks apart, twice a year, in opposite signs. The ramifications are reflected in the weather, our daily lives, and political overtures, creating massive side effects that wipe out what was once considered stable and solid. Many are born, and just as many pass on these occasions. I was born hours before the Cancer/Capricorn Eclipse of July 1954, when it was 118 degrees in five Midwestern states. An Eclipse reveals or unveils what has been previously hidden, or kept secret, so much has been revealed since June 26th, and will continue to come out after July 11th. A Grand ‘Cardinal’ Square flavors the energies, as this one is slow moving, as Pluto and Saturn are involved, so the wheels of change grind slowly, yet all must be ground to a fine dust, and it will. Cardinal signs are known for their adaptability, so we are more than willing to do the work that must and will be done. With Saturn at the last degree of Virgo, the ‘critical’ degree where we rise to the occasion, and become ‘heroes’ who flirt and then ‘skirt’ disaster, (which is Latin for ‘against the stars’), it is time to complete a 30-year cycle. All that has occurred over that period of time must be accounted for. And will be. Virgo relates to purity and purification, so we focus on all that needs purification, and it is imperative that we become our own angels now, as we are the ones we’ve been waiting for. No one will rescue us, except ourselves. 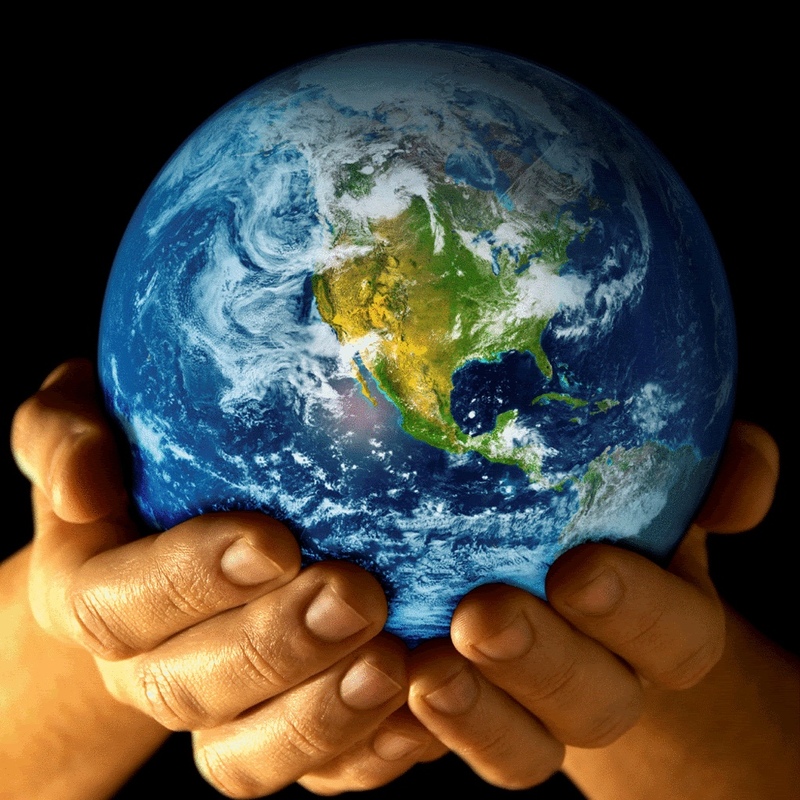 And we will, if we choose to claim our birthright, and clean our Karmic slates. Venus will have just entered Virgo two days before this event, the front door, and Saturn, is at the back door. By the 21st of July, Saturn will leave Virgo for Libra, and the square of June 26th is re-triggered, for the sake of ‘aftershocks’. Saturn rules the established, and the ‘establishment’, our purpose in life, and the careers we choose, and when it is located so close to an eclipse point, as it was on June 26th, it is activated, especially when triggered by a square to Jupiter and Uranus in early Aries, the Sun, Moon opposing, and of course, Pluto, in early Capricorn. The New Moon of July 11th allows us to put the changes we have initiated into a new movement, as we step up to the plate, and are ready to activate, adapt, mutate, and change. Come and Join us on July 10, 2010 at 9pm on Blog Talk Radio, and remember if you are opt-in my mailing list you will receive a priority reading.